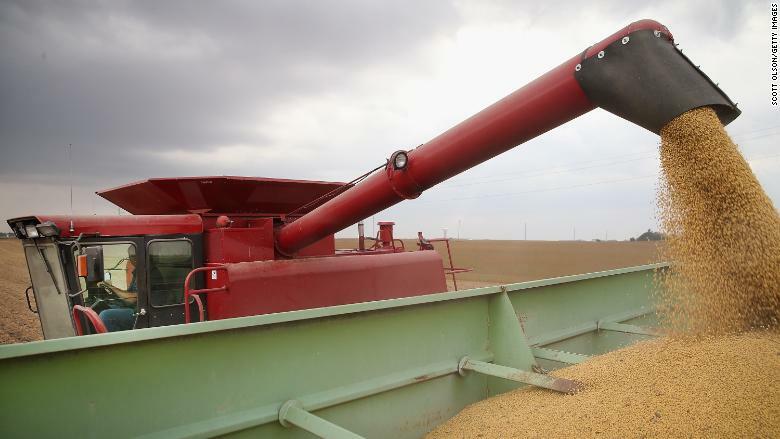 One of America's biggest farming industries fears it could find itself in China's cross hairs if President Trump keeps ramping up trade tensions between the world's two largest economies. China is the world's biggest buyer of US soybeans. It imported $14 billion worth of them in 2016, according to the US Department of Agriculture. "If there were increased trade tensions, soybeans could likely be a potential target in any Chinese retaliation," said Paul Burke, the North Asia regional director for the US Soybean Export Council. That's a big worry for an industry that supports tens of thousands of jobs in the US, many of them in states that voted for Trump in the 2016 election. Trump has already irritated Beijing by slapping tariffs on solar panels last month. He now has until April to decide whether to accept Commerce Secretary Wilbur Ross's recommendation to take measures to restrict steel and aluminum imports. 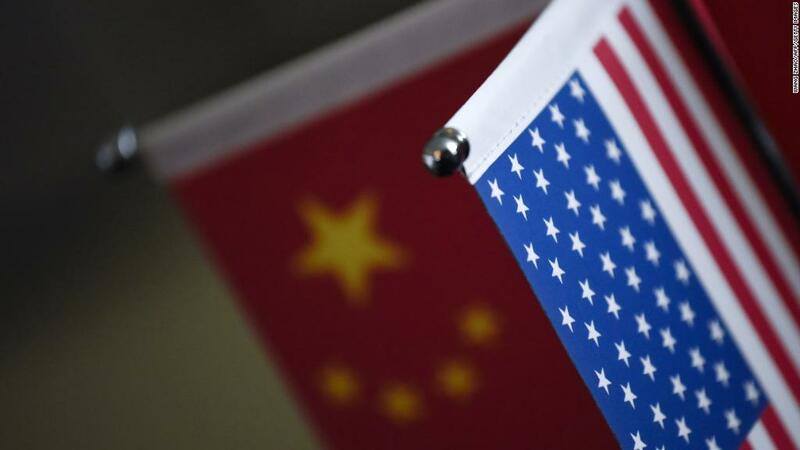 The Chinese Commerce Ministry said that if Trump's final decision on the metals "affects China's interests, we will take necessary measures to defend our rights." Burke, whose job brings him into regular contact with Chinese officials, says Beijing has various options for putting the squeeze on American soybeans. One would be restricting access to China's huge market. 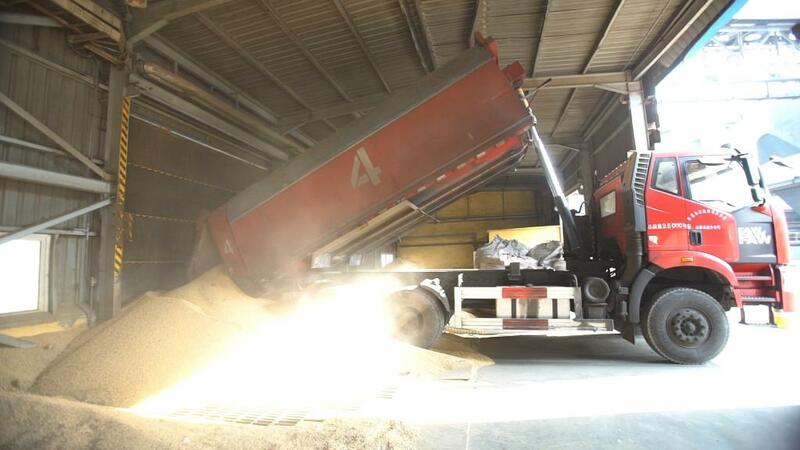 An indication of how that could work came earlier this month when Beijing said it was investigating whether the US was dumping a different agricultural product, sorghum, on its markets. China imported just under $1 billion of sorghum from the US last year, according to Chinese data. Another approach would be for China to shift more of its soybean business to other major producers like Brazil. In either case, the end result would hurt US farmers and other businesses that thrive on soybean dollars. "Your local diner, your local doctors, and other companies like that," said Burke. "This trade helps make rural America a good place to live." Soybeans could be targeted for another reason: Eight of the biggest exporting states voted for Trump in 2016. A ninth, Minnesota, voted for Hillary Clinton by a razor-thin margin. Chinese officials "understand very clearly the political pressure points in the US, whether it's in Congress, or in state houses, and certainly to the White House," said Randal Phillips, who runs the Beijing office of the Mintz Group, a firm that helps companies identify risk. "They've demonstrated over many years how to rally businesses, especially big business in America, to push back and have a more calm US-China policy," he said. The idea of targeting soybeans, according to Phillips, would be to inflict economic pain in states where Trump's base lies. That could put Trump under pressure to abandon some of the harder line trade measures in exchange for political support in the 2020 election. Analysts have pointed to other businesses that Beijing could target instead of -- or in addition to -- the soybean industry. They include major companies with big sales in China, such as Apple (AAPL), Boeing (BA) and Intel (INTC). Although the Chinese government has plenty of tools at its disposal to retaliate against any US tariffs, experts note that it has a lot to lose, as well. China is the world's largest consumer of pork. Changes in the supply of soybeans could raise the costs of feeding the vast number of pigs needed to sate Chinese consumers' appetites. More broadly, China is going through challenging economic changes as it tries to shift away from relying on exports and debt-fueled investment in favor of a greater focus on spending by its own consumers. As it grapples with issues like excessive corporate debt and a decline in jobs in low-end manufacturing industries, it can ill afford any serious disturbances in its economic relationship with the US, the country it does more trade with than any other.